The official website of the Dominicans in Ireland is www.dominicans.ie. The official website of the Dominicans in the UK is www.english.op.org. The Dominicans have 19 houses or parishes across Ireland, and many more in the UK. The Dominicans provide pastoral care in each of their communities, and participate in busy parish life with each of their congregations. For a list of Dominican parishes in Ireland, click here. To visit the website of the Dominicans in the UK, click here. The Priory Institute is a Dominican Centre for theological studies located in Tallaght, Dublin. It offers diploma programmes in theology, scripture and philosophy as well as certificates, higher certificates, ordinary degree and honours degree programmes in theology. Theology used to be perceived as an academic activity for those chosen for ordination and to a lesser extent for those taking religious vows. This perception has changed in Ireland due to the establishment and development of more open theological and catechetical departments at third level institutions. The Priory offers the opportunity of distance learning as well as the traditional classroom setting. It seeks to engage with the best rational thinking of our times and brings the insights of different philosophical and religious thinkers to bear on the study of theology. Visit the Priory Institute here. Members of the Fraternities of St. Dominic are lay men and women who are fully incorporated members of the Order of Preachers and live out their Dominican vocation in the wider World. They are “accordingly distinguished both by their own spirituality and their service to God” in the Church. As members of the Order they participate in its apostolic mission through prayer, study and preaching. Lay Dominicans come from every background joining the Dominican Order at any point in their lives. In this unique Dominican way, they live out their special vocation “to seek the Kingdom of God by engaging in temporal affairs and directing them all to God’s will.” (Lumen Gentium 31). They meet regularly to pray and study together and share each other’s joys, problems and hopes. They reflect on the Word of God seeking inspiration for their own lives and the lives of others. Learn more about Dominican Laity by clicking here. If you would like to enrol in the Confraternity of the Holy Rosary and to share in its spiritual benefits and graces, simply send your name and address to Fr. Walsh at the Irish Dominican Rosary Apostolate and Confraternity, 42 Parnell Square Dublin 1. You will receive a lovely package of prayer cards, leaflets and rosary beads. 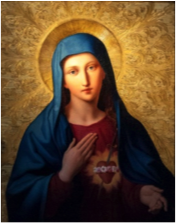 You will also benefit from knowing that you are linked in prayer with others all over the world who are dedicated to spreading devotion to Mary and love of her Divine Son through this holiest of prayers. 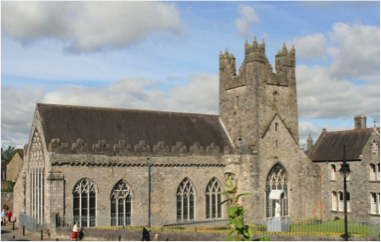 Located in Dundalk, this is a thriving unit run by past members in the Dominican Friary. It is one of the largest youth clubs in the country. As in all Dominican Communities there is a very strong bond between the Friars and the local people. The FYC was set up in 1997 and in the years following, demand grew for its services. The members meet every Friday in the Youth Centre and participate in a variety of games each night; football, dodgeball, basketball and more. They also have pool, air hockey, theme nights and the annual (and hugely popular) Talent Show. They are renowned for their St. Patrick’s Day Parade float and have been regular prize winners for the excellence of their presentation. 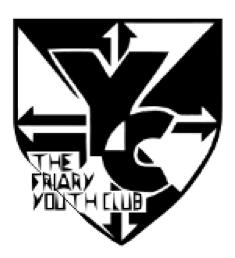 Visit the Friary Youth Club’s website here. All of the projects in Knockadoon are based on Christian values, an ethos of non-discrimination and support of the individual. Since 1962 the Irish Dominicans have run the annual summer camp. Each one is conducted by a team of youth volunteers together with Dominican Friars and combines outdoor activities and sports with indoor games and recreation. The events of the day include catechesis which aim to form one’s faith so that mind as well as body is developed. ‘Time spent in Knockadoon is something that will hold a special place in your heart forever’.